Holy Mod Aesthetic! 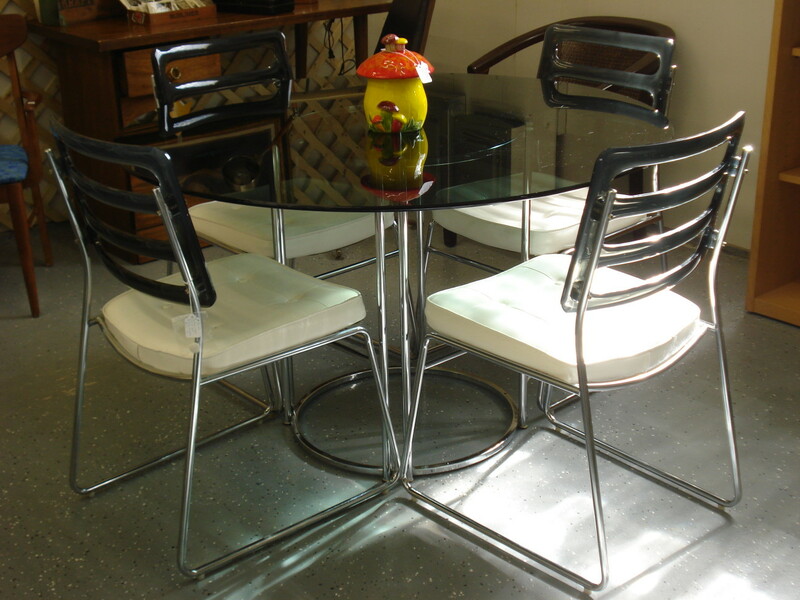 This Chromcraft dining set certainly brings it. 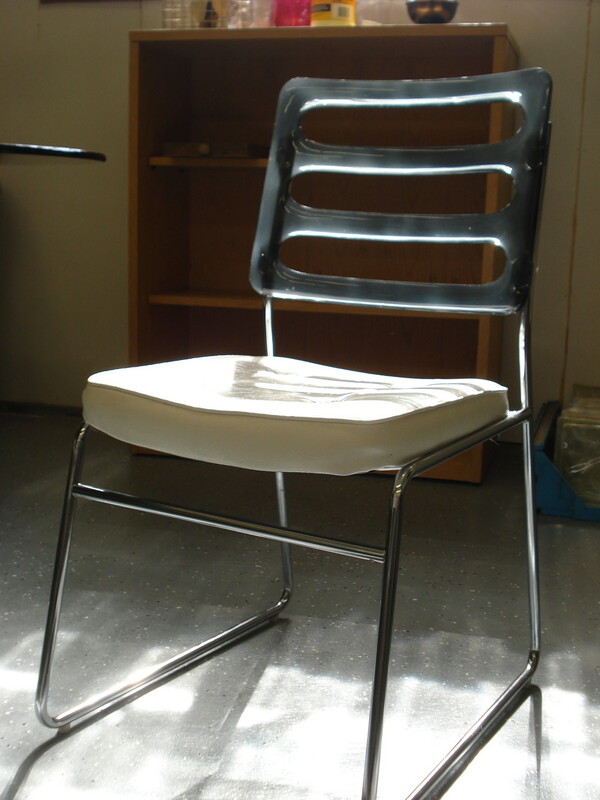 Chairs have original white vinyl seats with smoked Lucite backs. The smoked glass table top is approximately 48″ in diameter. Being sold “As is” since 3 of the seats need a button or two replaced. How much did this sell for? I have one just like it. thanks!